Brian is in the midst of his comprehensive exams for his PhD program this week. This is a pretty big milestone in his journey to get his PhD in Theology (New Testament). These intensive tests (also called "Pre-Lims") are the last things he must pass before beginning his dissertation. 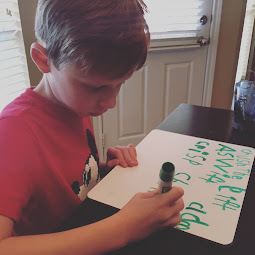 His last test is Tuesday, for which we are very thankful. Last weekend, to help give Brian the time and space to prepare for this week's multiple day-long tests, I took the boys to see my grandmother (my only living grandparent) and to attend our family reunion. That meant driving 18 hours in four days, with two little boys from Texas to Mississippi. Thank goodness my little ones were angels and handled the drive very well. Of course, my secret weapons included bringing my sister along (they love their Aunt Brook) and the car DVD player! Not to mention, they got to see their Mumsy, Pops and Uncle JC, whom they adore. Of course, nothing changes with our Cystic Fibrosis routine, even when we're on road trips. We just had to bring lots of CF supplies along. It's funny to see how we set up shop whereever we must go. One of the challenges about visiting my grandmother (the boys' great grandmother) is that she and Bennett cannot be around each other. Two years ago, my grandmother cultured Pseudomonas (a common lung infection in CF patients). As I mentioned here, Grandmom is actually being followed by the CF clinic in Jackson, Mississippi and is currently being treated as a full-fledged Cystic Fibrosis patient. 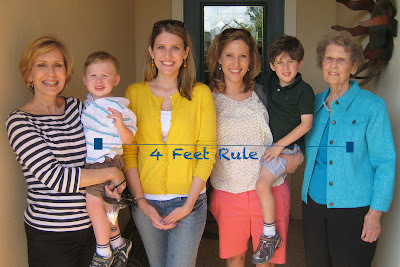 This was our first time to bring Bennett to visit my Grandmother because none of our family was quite sure how to do it but keep the two of them separated the entire time. One of the things I got to see when I went to visit Grandmom was her in her own CF Vest. Isn't this just a riot to see? 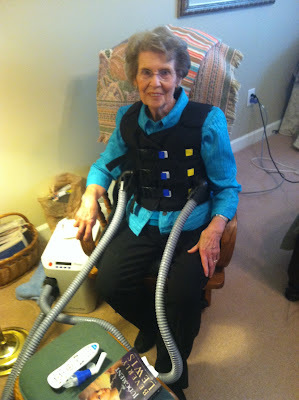 My 85 year old grandmother in her vest? Oliver thought this was very interesting. Actually, it's very sad to see that she needs it. But, thankfully, since being cared for by a CF doctor and after having recently completed an antibiotic tune-up in the hospital, my grandmother is doing wonderfully well! 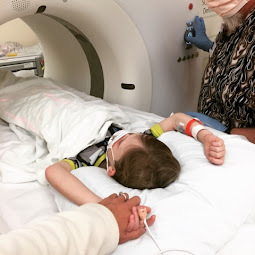 Since Bennett and my Grandmom are both considered to have Cystic Fibrosis, we have to put infection control measures in place when they are near each other. 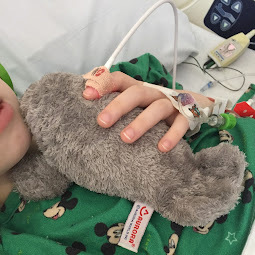 We don't want Bennett to get Pseudomonas, if at all possible, as it will increase his progressive lung disease. The Cystic Fibrosis Foundation highly advises CF patients not to be within four feet of each other. So, we practiced this at our family reunion and dinners as well. Our doctor has advised us not to let Bennett spend time inside my grandmother's house because there are too many germs there. So, the boys and I had to stay in a hotel. One of my favorite parts of visiting Grandmom is getting to eat her home-cooked meals. She makes some awesome Mississippi home-cooked meals, complete with butter beans, black-eyed peas, cabbage, cream corn and cornbread! I was so sad to think we wouldn't be able to enjoy this aspect of our visit with her now that we can't bring Bennett into her house. However, my mom came up with a creative idea to accomplish our goal of getting the family together: renting Grandmom's condo clubhouse across the street. This allowed us family meals together in a private space but not inside a place where Bennett could get sick (Pseudomonas can't hurt those of us who are healthy). We just made sure to put Bennett and Grandmom at opposite ends of the table and voila: family dinner like always. The condo clubhouse even had truncated couches so we could relax. Oliver really enjoyed getting to talk to his great Uncle Rob about tornadoes while we were there visiting. Uncle Rob told Oliver about how Oliver's great-grandfather and he (when he was a little boy) were in a tornado. Oliver was enthralled! Oliver also loved playing with his cousin Reese, who is 3.5 years older than him. It has taken us a long time to be able to be together again. 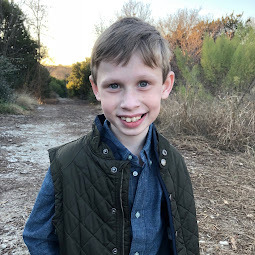 Between Bennett's previous CF complications, our living two states away and my grandmother's CF issues, our visits were limited and almost non-existent. But, I think we may have figured out how to be an extended family again, just modified to keep everyone healthy. In fact, we plan to visit again soon. My grandmother is a fabulous woman and I am so thankful to have been able to see her, if even under strange CF-related conditions. Cystic Fibrosis is family, whether we like it or not. But I'll take it if it means I can have a Grandmother as loving and caring as this one! a) brian you are in our prayers! b) breck- you are amazing!!!! once again i find myself saying WHAT a woman! c) i am so thankful you got to be with your family! You know I'm a big fan of your grandma. So glad you could make it work! Still amazed at this one. So very glad that you all could be together! Have a blessed day, friend! You're grandmother looks great - you all do! So glad you got to make that road trip to see everyone! Love you! Your grandmother looks fantastic! You all do! So very thankful you were able to make that road trip and see everyone! Love you!